WILLEMSTAD - At the beginning of next year, it will be clear who will be the strategic partner of UTS or the telecommunication company. This is according to the Minister of Traffic, Transport and Urban Planning Zita Jesus Leito, who is politically responsible for the government NV. A committee is responsible for the full or partial takeover of the company which is currently going through some tough financial times. 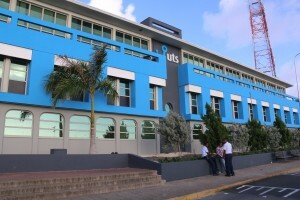 The Papiamento-language morning newspaper Bala wrote with great conviction that Columbus, the parent company of cable company FLOW, has taken over UTS. The minister did not want to say more than that the committee is currently in discussion with one candidate. But we did not have to congratulate her yet on the Columbus takeover.